Former Liverpool striker Luis Suarez played a big role for his club in their league clash with Atletico Madrid on Saturday night. 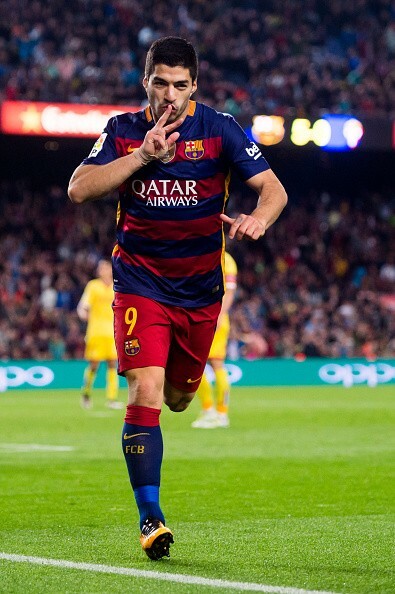 Luis Suarez plays his club football for Spanish La Liga giants Barcelona at the moment. The Uruguayan international scored one of the goals as Barcelona moved a step closer to their quest of retaining the Spanish La Liga crown they won in the last campaign with a 2-0 victory over Atletico Madrid in their league meeting at the Nou Camp on Saturday night. Atletico Madrid played the majority of the game with 10 men after star striker Diego Costa was given his matching orders in the 28th minute after his rant towards the match officials especially the centre referee. In the absence of Diego Costa, Atletico Madrid battled well to keep the scoreline at goalless until Luis Suarez produced a fine finish from outside the box to give Barcelona the lead in the 85th minute. Barcelona superstar Lionel Messi added a second goal for the Catalans one minute later to secure the win that could have sealed another league title for the Nou Camp outfit. The 2-0 victory over 10-man Atletico lifted Barcelona eleven points clear of their opponents at the top of the Spanish La Liga table. The sporting director who signed Luis Suarez is heading to Arsenal? Atletico Madrid striker Diego Costa will serve his eight-match ban after the appeal over his suspension was thrown out by the Royal Spanish Football Federation (RFEF). Spanish giants Atletico had earlier appealed against the sentence given to the former Chelsea player only for the appeal to be thrown out by the football federation. 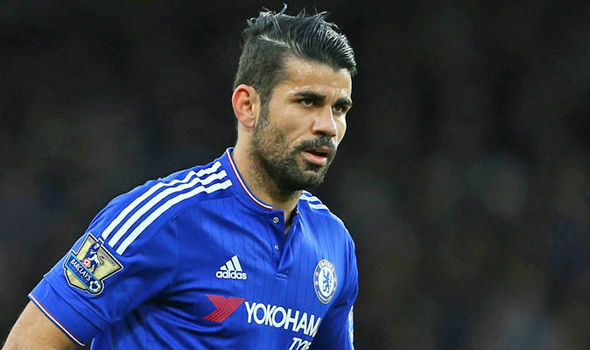 Diego Costa was handed an eight-match ban after he used foul words against centre referee Jesus Gil Manzano during the top-of-the-table clash with Barcelona in the Spanish La Liga last weekend. The Brazilian-born Spanish international striker was sent off in the 28th minute for his rant towards the referee and that ultimately cost his team the three points at stake. Atletico Madrid were looking to reduce the gap to Barcelona at the top of the Spanish La Liga table to five points with a win at the Nou Camp only for them to suffer the Diego Costa setback. Atletico Madrid played the majority of the away league game at Barcelona with ten men and went on to lose 2-0 courtesy two goals within a minute from the attacking duo of Lionel Messi and Luis Suarez. Both goals came in the final ten minutes of the game as Barcelona extended their lead at the La Liga summit to eleven points. The Spanish La Liga clash between defending champions Barcelona and rivals Atletico Madrid on Saturday was billed as a potential title decider but in the end, Catalan giants ran out comfortable winners after Atletico Madrid striker Diego Costa was sent off in the first half of the league encounter. The former Chelsea Striker was given his marching orders in the 28th minute after his rant towards the centre referee and that proved to be the turning point in the game. Barcelona came into the game on the back of an eight-point lead over Atletico Madrid but the Rojiblancos knew that a win over the Spanish champions at the Nou Camp will blow the title race wide open. The early dismissal of Diego Costa didn’t help Atletico Madrid who spent the majority of the game on the back foot. Their resolve was finally broken in the last five minutes when Luis Suarez gave Barcelona an 85th lead with a fine finish before star player Lionel Messi added a second goal in the space of one minute of the opening goal by Uruguayan international Suarez. The 2-0 was more than enough to take Barcelona 11 points clear at the top of the league table ahead of the last seven games. 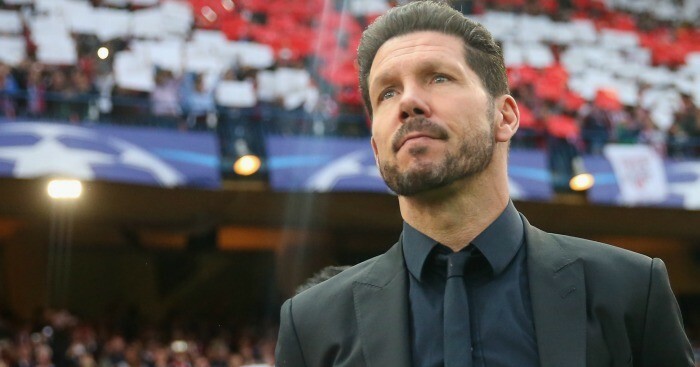 Atletico Madrid manager Diego Simeone has beaten former Chelsea boss Jose Mourinho to the top spot on the list of the highest-paid managers in world football. According to France Football via Goal, the Atletico Madrid boss finished at the top of the list of the top 20 highest-paid managers. Former Arsenal striker Thierry Henry had a brief three-month stint at French Ligue 1 giants AS Monaco before he was sacked earlier this year and he’s third on the list with the total income of £21.9m. Manchester City manager Pep Guardiola (£20.6m) and Barcelona boss Ernesto Valverde (£19.7m) complete the top five. Jose Mourinho is presently without a managerial job since leaving Premier League giants Manchester United after a 30-month spell. The Portuguese tactician recently confessed that he misses management before adding that he’s waiting for the right club and the right league before returning to the dugout. 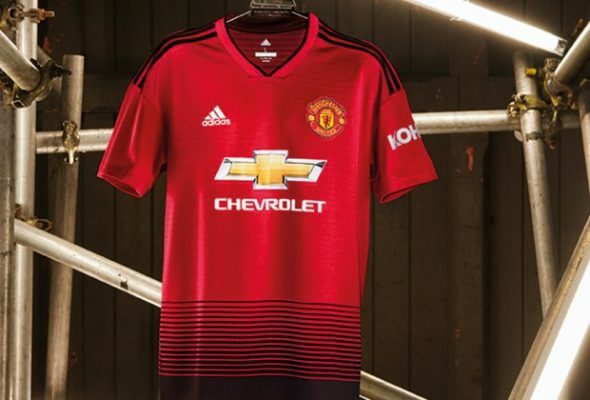 Mourinho paid dearly with his job at Manchester United after he led the Red Devils to their worst start in the Premier League era and his cause was not helped by the feud with some of the senior players at the club. He was replaced by former club striker Ole Gunnar Solskjaer after his sack in December. No wonder, French international Paul Pogba made a shocking claim that he would be happy to join Real Madrid to play under football legend Zinedine Zidane; it has been revealed that he has transfer plans alongside his national teammate Antoine Griezmann. The former Juventus player has been linked with a move away from the Old Trafford with a number of clubs mentioned as his destination and he seems to be fuelling the speculations with his claim. France 1998 World Cup winner Frank Leboeuf has revealed that the two French players have plans to leave their various clubs at the end of the season and they will make it known in their various styles during the international break. The France legend says Paul Pogba has got nothing to tell the players to say in the press conference despite all of the questions than to fuel his speculated move away from the club. He noted that Paul Pogba only wants to achieve something with the Atletico Madrid star as they are both pushing for a move away from their various clubs. However, there are suggestions that the Red Devils will block the move for Paul Pogba to leave the club as they are willing to keep him at the club. Nigerian Super Eagles defender Kenneth Omeruo was the main culprit after his team suffered a narrow 1-0 defeat at the hands of Atletico Madrid. 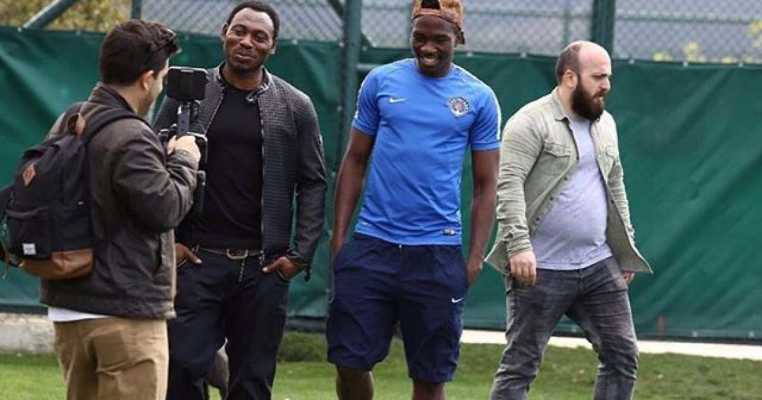 Kenneth Omeruo currently plays his club football for Spanish La Liga club Leganes having joined on loan from Premier League giants Chelsea. The Nigerian defender left Chelsea to join Leganes on a temporary deal at the start of the season. The 25-year-old has been impressive during his loan spell at Leganes until yesterday’s game against Atletico Madrid. The Chelsea loanee gave away a penalty during the La Liga game with Atletico Madrid after he brought down Angel Correa in the box in the opening stages of the second half. Atletico Madrid substitute Saul Niguez had the resulting penalty saved before he tucked away the rebound to give his side the only goal of the game. The win ensured that Atletico Madrid moved to within four points of league leaders Barcelona in the race for Spanish La Liga. Barcelona extended the lead back to seven points after the Catalan giants beat struggling Rayo Vallecano 3-1 at home on Saturday night. Rayo Vallecano took a shock lead in the 24th minute but normalcy resumed seven minutes from halftime when Gerard Pique equalised for Barcelona before Lionel Messi (penalty) and Luis Suarez scored in the second half to give Barcelona the win. Chelsea striker Alvaro Morata has revealed what prompted him to sign for Spanish La Liga giants Atletico Madrid during the January transfer window. 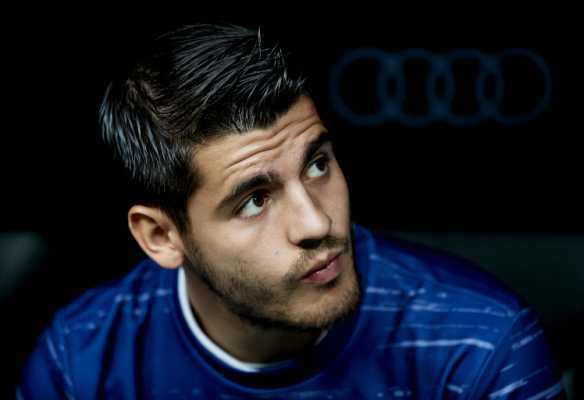 Spanish international Morata talked about his move to Atletico Madrid in an interview with AS. According to him, the Atletico Madrid made contact with him over three years ago in their bid to sign him over three years ago before adding that he promised Atletico Madrid manager Diego Simone about signing for the club. Chelsea paid a club-record transfer of £71m to secure his transfer from European champions Real Madrid in the summer of 2017. Morata didn’t have the best of times at Stamford Bridge despite the fact that he had a great start to his Chelsea career. The Spaniard joined Atletico Madrid on loan from Chelsea in January with the option to make the transfer permanent in the summer. His position was taken at Chelsea by Gonzalo Higuain who also joined the Blues on loan from Italian Serie A champions Juventus. Higuain has scored two goals for Chelsea since his transfer to the West London club last month. Juventus have already told Chelsea that the can sign the Argentine international player for €36m at the end of his loan deal this summer. Chelsea striker Alvaro Morata is in Spain, precisely Madrid, where he is expected to undergo his medical today before completing his move to the Wanda Metropolitano stadium. The former Real Madrid star hit the Spanish Capital last night and he was welcomed by the press who asked him some series of questions concerning his stay at Stamford Bridge and how he feels about the future. When asked about his uninspiring spell at Stamford Bridge, Morata revealed his happiness to have featured for such a big club even if things didn’t go well for him. Irrespective of the setbacks — injuries and loss of form — he encountered under Antonio Conte and Maurizio Sarri, the 26-year-old said he’s proud of the past. “The past is the past and cannot be changed. But I am proud of my past.” Morata admitted. As for his future expectations with Atletico Madrid, Morata revealed his eagerness to start working with Diego Simeone. He confessed his readiness to help the Wanda Metropolitano outfits achieve a great feat this season. 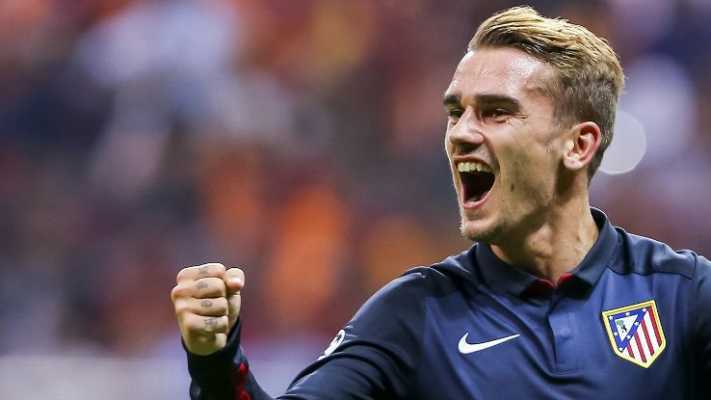 Should everything go on as planned, the former Juventus striker will officially become Atletico’s newest arrival on Monday. He should be ready for criticism from Real Madrid fans when Atletico come up against his former employers Real Madrid later in the campaign. It is said that the loan move could be made permanent by the end of the campaign if Morata performs up to his billings during his six-month stay under the Argentine manager. English Premier League outfit Manchester United are keen on the restructuring following the sack of the former manager Jose Mourinho in December last year. While the poor results contributed to why the Portuguese international was shown the way out, the fact that there were fracas between the former Chelsea boss and the executive vice-chairman Ed Woodward over transfer dealings made it necessary for the club to seek for a restructuring that will have a sporting director take the responsibility of transfer activities. This is why the Red Devils seek to speak with Spanish La Liga outfit Atletico Madrid sporting chief Andrea Berta in order to have him switch to the English Premier League club. According to reports, United are hoping to land Andrea Berta as the technical director of the team having recognized the success he has achieved at the Spanish capital. However, the Red Devils will have to be convincing enough in their bid for Andrea Berta knowing that Atletico Madrid are not willing to part ways with him anytime soon. Andrea Berta has been given the credit for helping Atletico Madrid win the 2012/14 La Liga title as well as reaching the finals of the Champions League in 2014 and 2016. Having completed their long-awaited move for Gonzalo Higuain last night, the Blues are reportedly set to release Alvaro Morata to Atletico Madrid for the rest of the campaign. The Spaniard failed to live up to the hype and Sarri his more than ready to cash in on his signature this month. In fact, the Sun are reporting that the 26-year-old striker has landed in his home country ahead of his medical with Atletico Madrid. 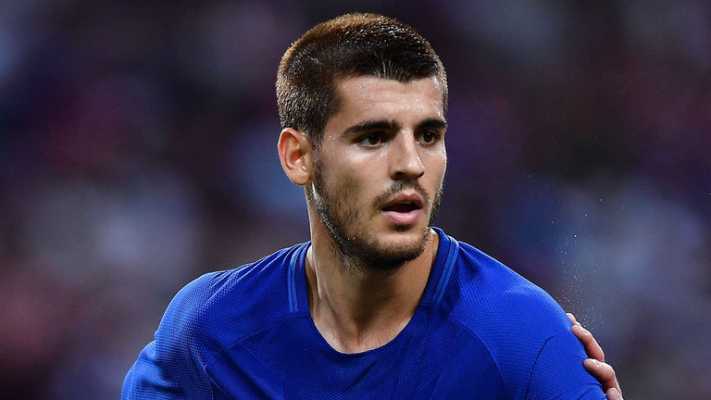 The La Liga giants are ready to give Morata another opportunity to revamp his career and they’ve reportedly reached an agreement with the Blues for his signature. The British outlet said that a £4.4m loan deal has been sealed between both clubs and he could be unveiled latest on Friday, should everything work out as expected. Morata scored just six goals in all the appearances he’s made for the Blues throughout this season, and Sarri isn’t happy with his goal return. The former Napoli manager will now hope that his new buy — Gonzalo Higuain who was his former player during his days at Napoli — help the team score many goals that will be enough to see them qualify for Champions League next season. Meanwhile, the former Real Madrid forward won’t partake in tonight’s clash against Tottenham due to the Blues inability to unveil him before Wednesday. The player, who has chosen to wear jersey number 9, will hope to justify the huge faith impose in him by Chelsea supporters across the world. Should he perform brilliantly, he could be signed on a permanent deal before the start of next season. Many media outlets reported yesterday that Chelsea striker Alvaro Morata is closer to completing his switch to the Wanda Metropolitano stadium. Almost all Spanish publications revealed that a deal could be sealed between both clubs on Tuesday so as to allow Gonzalo Higuain move to Stamford Bridge in the same day. The pundit said that Diego Simeone could be forced to wait a little longer before finalizing a deal with the Blues for the 26-year-old due to FIFA fair play rule. He claimed Atletico Madrid must sell one of their players this week so as to be eligible to bring the Chelsea flop to Spain. According to him, Morata will need to be at Stamford Bridge until Atletico get rid of one player from their squad. Meanwhile, it is believed that Diego Simeone is set to part ways with 23-year-old striker Gelson Martins who joined his side from Benfica last season. The Portuguese attacker has failed to displace Griezmann from the manager’s starting lineup, so, he’s not getting quality time on the pitch and he wants to leave the team. Monaco and Milan are reportedly keeping close tabs on his signature and one of the clubs could capture his services before the end of the week. Guillem Balague said that Martin’s future will determine whether Morata will join the Spanish side or not.